To request the Government of the People’s Republic of Bangladesh to declare “7th March” as the “Historical Speech Day”. To request the Government of the People’s Republic of Bangladesh to declare “7th March” as a National/Public holiday. 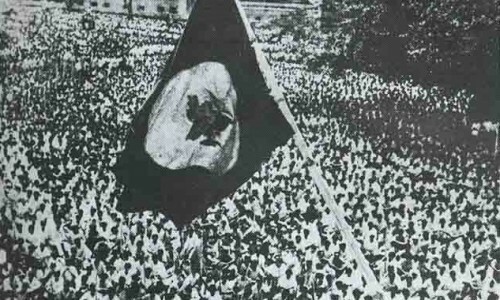 We believe that declaring “7th March” as the National/Public holiday will not only create the space and opportunities for people to observe and celebrate this momentous day in the history of the Bengali speaking people, it will also be a recognition of the sacrifices for the long struggle for the liberation of Bangladesh. We further consider that 7th March is a unique day in the national history of Bangladesh. On this historic day over a million of struggling masses gathered in Ramna Racecourse to mark the beginning of end to the long marches for freedom and emancipation and to witness a new dawn-independent Bangladesh. This was also a day of national unity, solidarity and brotherhood in a manner that was not previously known amongst the Bengali speaking people. Raise the demand for the declaration of the 7th March National Day at appropriate meetings and forums. And if necessary form your own campaign group.